Smoking drinks is a big thing right now. 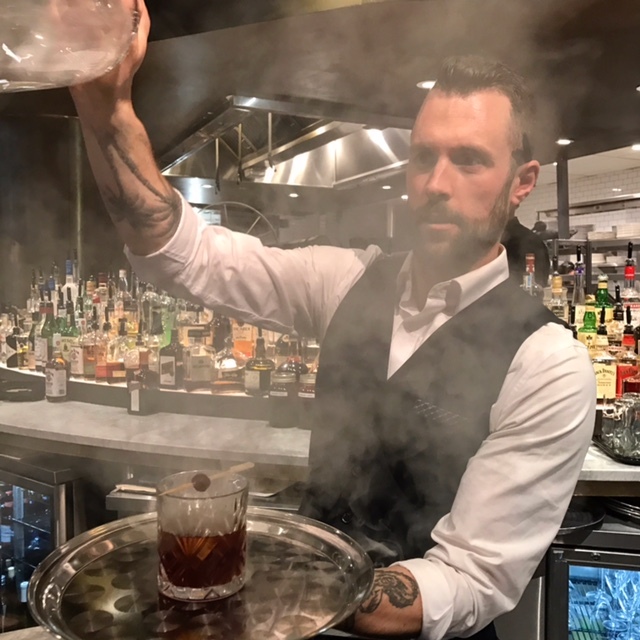 First bartenders were mixing peated scotch or smoky mezcal into cocktails for that campfire flavour; now they are adding actual smoke with a machine that lights flavoured wood such as cedar chips afire, then pumps the smoke into a glass dome (under which the cocktail is situated) through a hose. It’s like bell jars have been waiting decades to make a comeback, and now enterprising bartenders are facilitating their wish. It makes for an entertaining performance at the bar. 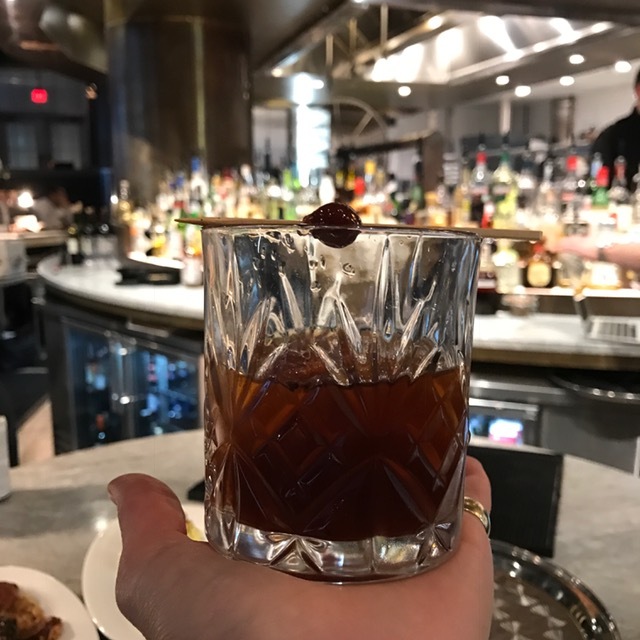 The Guild bartender Austin Purvis reveals his Burnt Cherry Manhattan after a round of smoking. I first saw David Bain do this neat trick with a rum drink during a Mount Gay competition a couple years ago. More recently, I’ve watched Franz Swinton smoke his Good Morning Vietnam at Raw Bar, and Austin Purvis smolder his Burnt Cherry Manhattan at The Guild. The taste of smoky fruit is awesome in this spicy, slightly bitter Manhattan (I’m a big fan of the Sonoma Country rye), but quite frankly, while it’s fun to watch a bartender imbue a drink with a smoky bouquet, it seems like a lot of work and equipment. Where does one even purchase a bell jar? Or a smoking machine? I wouldn’t necessarily try it at home. And evidently, you can buy a smoky spray to spritz on your cocktail. That sounds like a safer bet! A Burnt Cherry Manhattan from The Guild. Method: In a mixing glass, muddle the blackened cherry and orange rind with the rye whiskey. Add the remaining ingredients, plus ice, and stir until well chilled. Fine strain into a rocks glass over two fresh ice cubes. Smoke the glass under a bell jar to infuse a smoky flavour. Garnish with a skewered bourbon cherry.